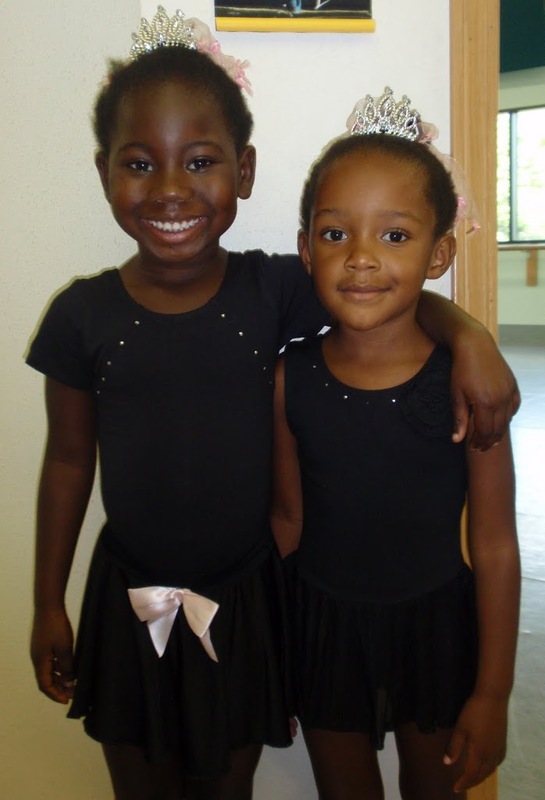 The little girls are helping me live out one of my mama dreams, taking my tiny daughters to ballet class. I’m super excited that Bubbly was able to participate. This was her reward for doing so well in her summer preschool program. She loved it. She listened, focused and didn’t bother any of the other girls for the entire thirty minute class. She was even a little nervous when she went in. She clung to my leg a little, because she’s attaching to me! She asked me to stay and watch her, which I wouldn’t have missed for the world. Then, like any other 4-year-old, she looked over and waved every few minutes. I am so impossibly proud of her. The Diva loved it too. She’s usually pretty shy in new situations, but she went right in holding Bubbly’s hand, and told them all about herself. She’ll be going to preschool this year, she’s three, and she likes Bubble Guppies, especially the one with the pink hair. Stretching at the beginning of class. Introducing herself. She’s Bubbly, she’s 4, and she was born in Ghana. She was trying so hard to follow everyone else. who sees two prima ballerinas in her future. So cute! I have six dancing daughters.